Since I was sort of rushed in making this one, I didn’t take a whole lot of pictures, but there wasn’t exactly a whole lot that I didn’t photograph, anyway. The first step is to mix the dry ingredients with a oil, water, egg yolk, lemon zest combo. Then beat egg whites into a meringue. The fold the meringue into the yolk-y mixture. You prep the springform pan by surrounding it with cake strips, or in my case, you get lazy and use a silicone cake pan. You add an upside-down flower nail in the center to act as a conductor, and make sure the center sets before the outside gets dry. As usual, search the kitchen in a panic, looking for the flower nail. This seems to be standard practice for chiffon cakes, for me. As the recipe said it would (like always, with Rose! 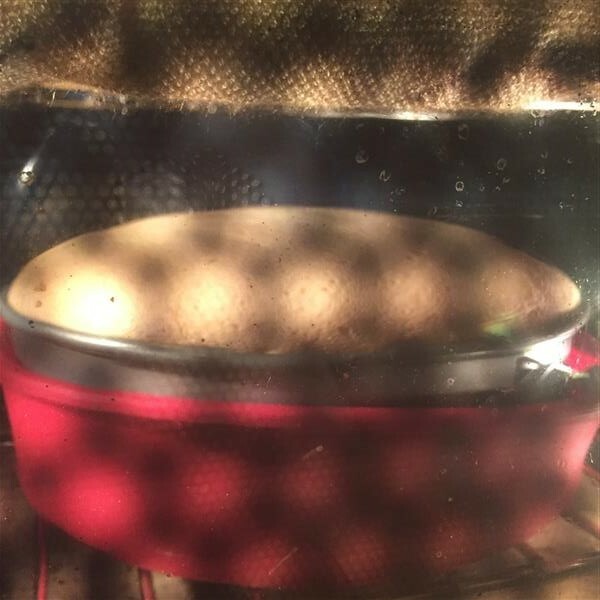 ), the cake domed up beautifully in the oven, and only collapsed a minute or two after removal from the oven. After cooling upside-down for an hour or two, remove from the pan, and put it back right-side up on a plate. As I mentioned, I tried to cheat with the whipped cream and use store-bought lemon curd, but I just couldn’t bring myself to use what I’d bought. So, I whipped up a batch of lemon curd tonight while I was on the phone with my Mom, wishing her a happy 65th birthday! It sounds like she had a nice lunch with a friend yesterday, and dinner at my sister’s this evening. My gift to her was delivered a day early, too, because the nursery didn’t want to deliver in the snow & ice storm they’re having today. We’ve had nothing but rain, here! 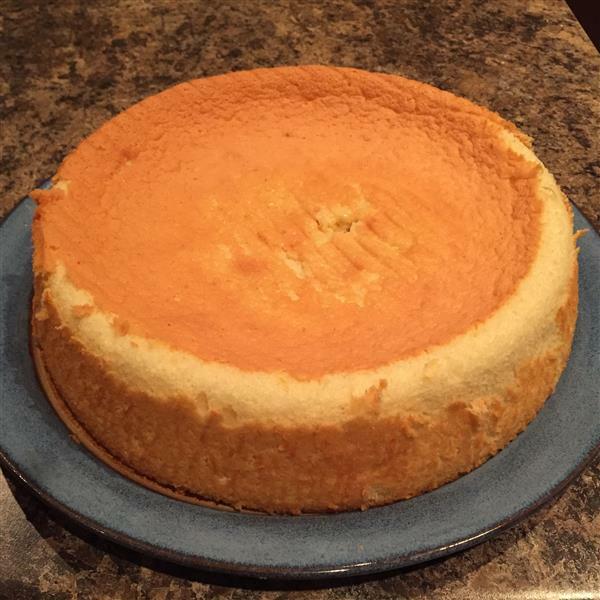 Posted on December 16, 2015 by KristinaPosted in The Baking BibleTagged chiffon cake, lemon, lemon curd, whipped cream. “Then I tasted it, and it was nothing but sadness.” Oh my gosh, this is a perfect description that I will remember next time something doesn’t turn out! 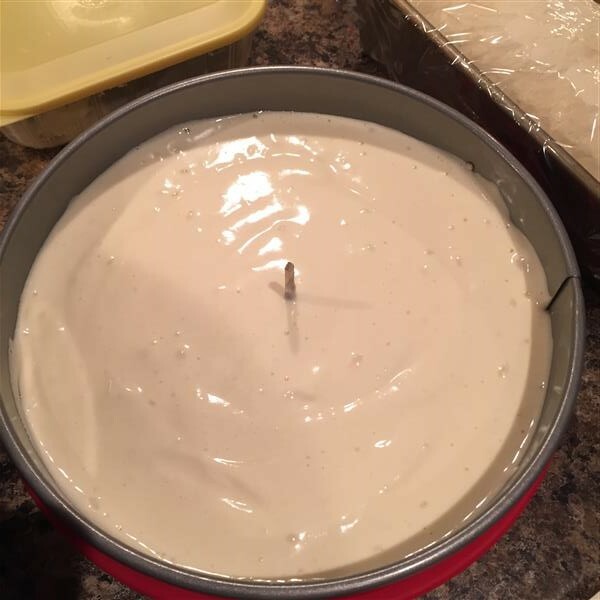 Your cake looks great. Love the picture.